You have a lot of options when it comes to dealing with chipped, missing, discolored, or misshapen teeth. At Smile Designers in Longmont, Colorado, we can close up spaces, alter tooth length, and reshape teeth altogether. While we call these procedures cosmetic, they contribute more than just a better-looking smile. Many times, cosmetic dentistry improves the function of the mouth and can solve persistent oral issues. The team at Smile Designers is proud to offer a world-class array of cosmetic dentistry services to residents of Longmont and the surrounding areas. If you dream of a single appointment that can transform your teeth, bonding could be it. Bonding generally takes only one office visit and will last for years. We will use a tooth-colored material to change the color of your teeth or fill in gaps. While the material is more vulnerable to chipping or staining than some other types of restoration, it is a fantastic option when you have slightly-decayed teeth, chipped teeth, or small cavities. One of the most common cosmetic processes, bleaching uses a special whitening solution to eliminate stains and make teeth whiter. Because of their porous nature, teeth get discolored by tea, coffee, medication, cigarettes, and certain foods. Aging and genetics can also cause discoloration. We will fit you for a custom mouthpiece and determine what amount of solution is best for your unique needs. The average teeth whitening treatment takes between two and four weeks to fully see the results you’re looking for. While there are many off-the-shelf products to choose from, we encourage you to put our knowledge to work for you. Without expert guidance, you can permanently damage the enamel on your teeth with a whitening solution. Play it safe; get professional assistance with teeth whitening. If your teeth are chipped, unevenly spaced, crooked, or discolored, we will likely discuss veneers as an excellent option. Veneers are thin panels of porcelain that get placed on the front of your teeth to change their color or shape. This is a great cosmetic dentistry procedure because little to no anesthesia is needed. 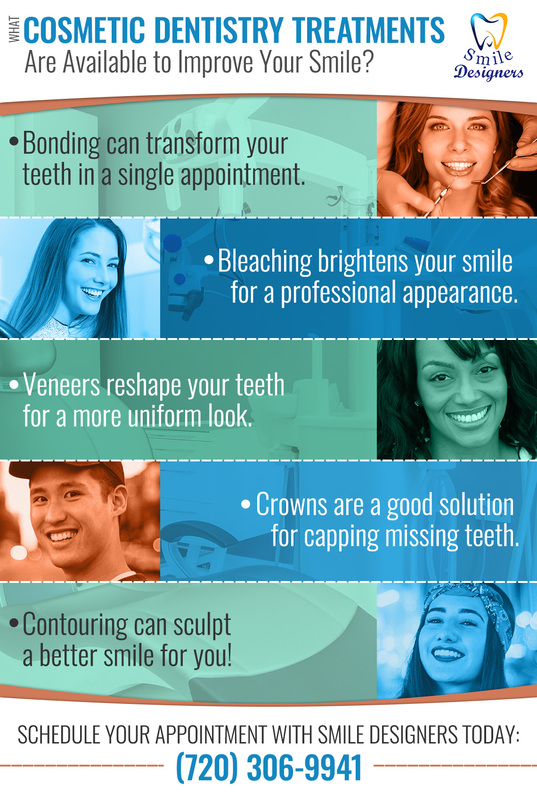 People also like veneers because they last longer than bonding. When you decide to go with veneers, we will take impressions of your tooth (or teeth) to make sure the veneer fits right. Because veneers add thickness, we will buff your tooth or teeth down a little to compensate. Cement activated with a light will fix the veneer onto your tooth, and you’ll be good to go! Keep in mind that if you choose porcelain veneers, the process will take a few appointments because each veneer is fabricated in the lab. You will be amazed at the transformation when we’re finished! When bonding and veneers aren’t quite the right solution, crowns may do the job. Also called caps, these cosmetic devices cover teeth completely. As you can imagine, crowns are the most time-consuming option per visit in the cosmetic dentistry arena, but they also last the longest. Generally, they are also the most expensive option, so we will make sure we clearly discuss what will work best for you and answer any questions you may have. If you have healthy, normal teeth but they’re irregularly-shaped, chipped, or overlapping, this cosmetic procedure can do a lot for you. Contouring is usually combined with bonding for the best results, and it can correct the length, position, or shape of your teeth. We will carefully x-ray your teeth to ensure they are ready to handle this procedure. 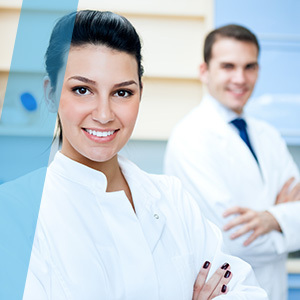 Making sure that you get what you need in terms of quality dental care is our top priority. We will take the time to understand your goals and make sure you know what to expect, what kind of maintenance you’ll need to perform at home, and how you can expect your results to look. Make an appointment with us to learn more today!